2. Take your first brush and start swishing it around in the olive oil, slightly pressing down on the brush as you go. Do this for a few seconds, or until the color stops coming out of the bristles. 3. Next, swirl the brush around in the soapy water. Because oil and water don't mix (just in case you forgot) the makeup should come off in little bubbles (although this won't be as noticeable for things like eye shadow and blush). 4. Give the brush a final rinse under plain warm water, then pat it dry with the towel. If it seems like more makeup is still on the bristles, repeat the rinsing process again. If not, leave it laying out for at least 6 hours so it can fully dry. 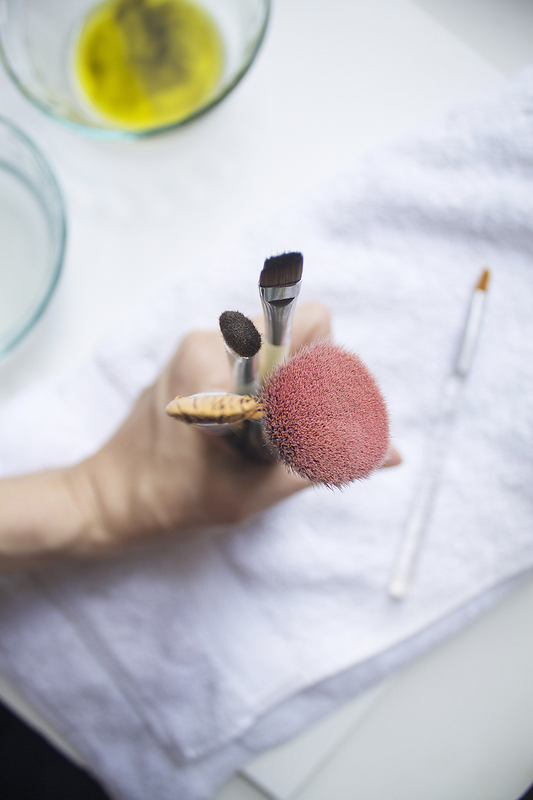 If you need to brush up on your makeup brush basics (i.e. 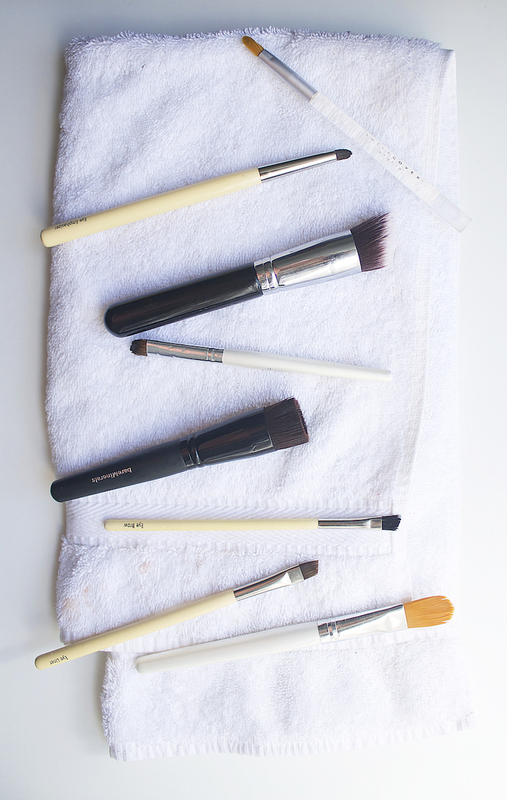 which ones you need and which brushes to use for what), see here.